Dangling from a well worn thin piece of leather hangs a pair of binoculars. They have been hanging on a hook in the hallway for so long a white coat of dust has gently settled on the hard black plastic of the two small telescopes fitted together side by side. The leather hide strap is worn, tattered dried out and frayed and soon will have to be replaced. No-one has cared much about what has dangled from the hook, not in a very long time it is safe to say. The binoculars were once used to sight a rare and precious bird that came to sit on the lower branches of the Valley Oak tree in the meadow out back of this homestead. Some years later the bird has long been extinct and so the field glasses hanging in the hallway have sadly been forgotten. What makes life so vulnerable? I wonder sometimes if humans will end up on the endangered species list as well someday! So many beings suffer from the symptoms of feeling vulnerable, their physical bodies in a constant fight and flight energy that is causing more harm than good. We live in a world governed by humans that keep breaking their promises. Laws are meant to keep the inhabitants of this planet protected, safe and secure. For centuries there has been a system of parliamentary democracy elected through those who represent not only the people but the nature of this earth as well, it seems in a world which should be evolving positively and intelligently, the show of control the people truly have is indeed a tyranny. Vulnerable is an epidemic, and sadly it looks like we are running out of medicine for the oppressive heaviness that weighs on the minds of the people. Social Media is overpowering, burdensome and unbearable, but it is an addiction among humans and is causing symptoms of a terrible disease, will there ever be a cure for Vulnerable? 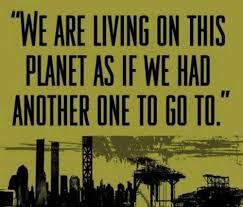 Until all human beings come together in unity with a consensus agreement to work towards solidarity there will be no remedy, healing or solution to the problems that plague this planet, should we wait until it is too late? Intelligent I am not, but intuitive I am and I agree like many others do, we are running out of time!